This post originally appeared on the blog of a local Sunshine Coast IVF clinic, Fertility Solutions. See the original post here. Acupuncture and Traditional Chinese Medicine have received a lot of press in recent years, as they have been shown to significantly improve clinical pregnancy and live birth rates in women undergoing IVF treatment (1,2,3). There are many ways in which acupuncture can support you as you undergo IVF or fertility treatment, and two of these include reducing stress, and increasing blood flow to the pelvic area. It’s well known that stress hormones like adrenaline and cortisol have a destructive effect on fertility – and with 73% of Australians admitting stress impacts their everyday lives, it’s a pretty big problem (4,5). Stress hormones inhibit the release of hormones such as FSH, LH and progesterone, all of which are paramount to ovulation, conception and pregnancy. Acupuncture helps to lessen the body’s “fight or flight” response that stress enables, and in turn acupuncture helps to reduce the levels of these hormones circulating around the body. This allows for the fertility hormones to be released(6). Acupuncture also stimulates the release of endorphins (your body’s own painkillers) and neurotransmitters like serotonin and dopamine (your body’s own happy hormones), which increases feelings of happiness and relaxation. Acupuncture helps to regulate blood flow to the uterus and ovaries by regulating the responses of the ovarian and uterine nerves. This in turn encourages a thicker uterine lining, and also helps to increase the receptivity of that lining, which helps to make implantation of an embryo more likely to be successful(7). For best results, acupuncture treatments are undertaken weekly for at least 3 months in the lead up to your IVF cycle, and during the cycle. Whilst there is no absolute guarantee it will lead to a pregnancy in your individual case, it can (at the very least) make the process less stressful and more easily manageable – in short, it’s worth giving it a go. C. Magarelli, D. K. Cridennda and M. Cohen, Changes in serum cortisol and prolactin associated with acupuncture during controlled ovarian hyperstimulation in women undergoing in vitro fertilization-embryo transfer treatment., Fertil. Steril., 2009, 92, 1870–1879. Cochrane, S., Smith, A., Possamai-Inesedy, A., Bensoussan, A. Acupuncture and women’s health: an overview of the role of acupuncture and its clinical management in women’s reproductive health. International Journal of Women’s Health. 2014, 6, 313–325. Is Acupuncture Still Covered by Private Health Insurance? Dr. Grace Jones (BHSc.Acu) is the founder and primary practitioner at Acupuncture with Grace in Maroochydre and Buddina on the Sunshine Coast. 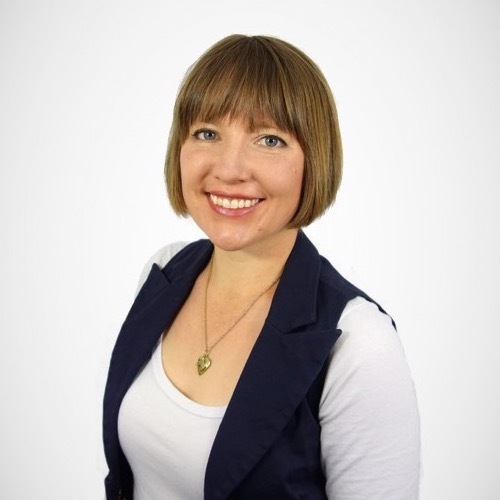 She is a nationally qualified and registered acupuncturist, with a passion for integrating tradition Chinese medicine with modern complementary care. Grace has special interests in women’s health, natural fertility, IVF support, pregnancy and post-partum care, and has undertaken extensive clinical training in these areas. Learn more about Grace here.